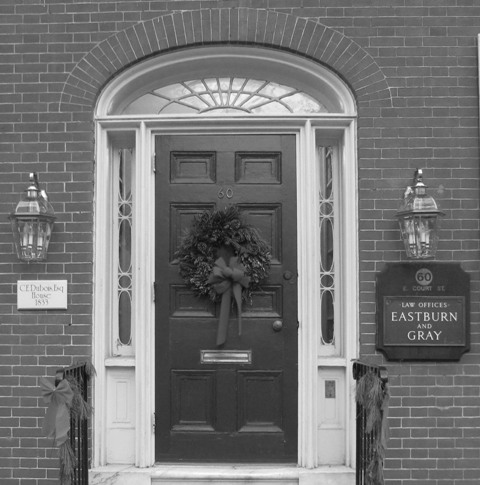 Eastburn and Gray Proudly Supports 2018 Christmas at Aldie Event - Eastburn & Gray, P.C. Eastburn and Gray is proud to support the Heritage Conservancy’s 2018 Christmas at Aldie event. All proceeds from this fundraiser support Heritage Conservancy’s mission of preserving its natural and historic heritage. The event takes place on Sunday, December 2, 2018 at the beautiful and historic Aldie Mansion in Doylestown. Holiday-themed cocktails, delicious dining and festive cheer will be present. Based in Doylestown, PA, Heritage Conservancy is committed to being the region’s premier, nationally-accredited conservator. The Heritage Conservancy is a community-based organization dedicated to the preservation and protection of significant open spaces, natural resources, and our historic heritage. To learn more, please visit www.heritageconservancy.org.